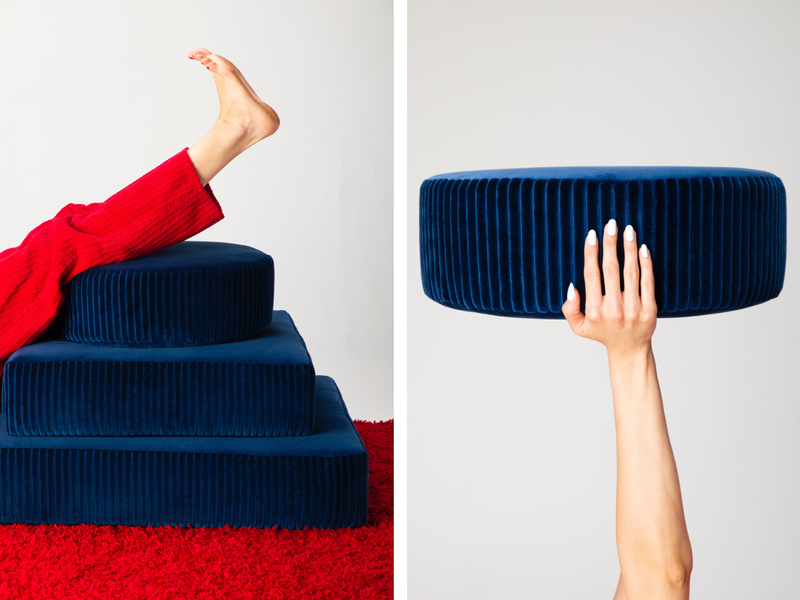 Created by Los Angeles–based designer Leah Ring, the Stacks bench will make its debut in navy next month during the L.A. Design Festival. One of the first furniture pieces Leah Ring ever made was the Stacks bench, released in the inaugural collection of her now-one-year-old L.A. design studio, Another Human. 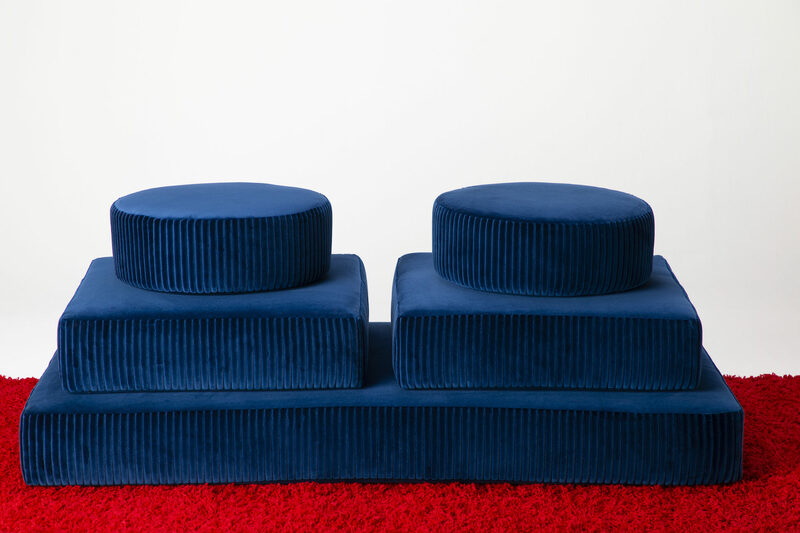 Each cushion—some round, others square, and one a bit shorter than a twin-sized mattress—can be arranged as its user prefers, resulting in a seat that allows for impromptu sprawling and, when its pillows are piled high, a small, urban apartment–friendly footprint. 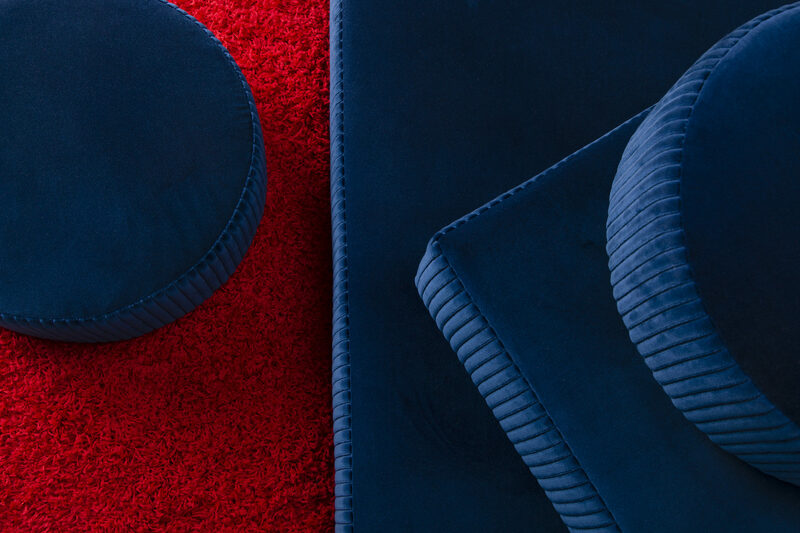 Upholstered in glistening gray velvet, the bench is Ring’s loose interpretation of a tower of meditation stones, like those one might see in a Zen garden. Glee can be found on multiple levels here: The sheer fun of building or bouncing on top of a tower of cushions taps into the sitter’s inner creative (and inner child). What’s more, the bench offers a refreshing take on the modular sofa, exchanging bland shapes and limited configurations for a couch that, when in use, looks as if it came straight out of a Cubist painting, gloriously abstract yet weirdly familiar. Taken in context with the other home pieces she’s debuted since then (acrylic tables filled with tinsel, hand-quilted metallic lamé blankets, mirrors anchored by glittery geodes), it’s clear that Ring has been doing a bit of thinking herself: specifically about how to evolve familiar forms, and the importance of imbuing them with a sense of joy. 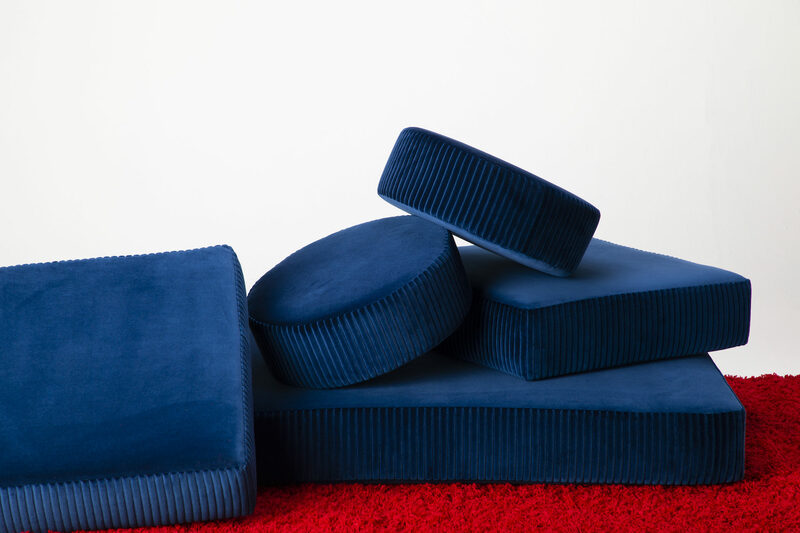 On June 8, the 32-year-old Ring, who is also an interior designer, will debut the Stacks bench in a new, lustrous navy hue with thick corduroy details during the L.A. Design Festival at Intro/L.A. Made to order and crafted by hand in California, the clever seat illustrates Ring’s dedication to a kind of playful geometry, where shapes hold a purpose, evoke a feeling, and, when left alone, serve as functional works of art.